Boy have I missed interacting with you all! I hope everyone had an amazing week, and will have an even more fantastic weekend!! 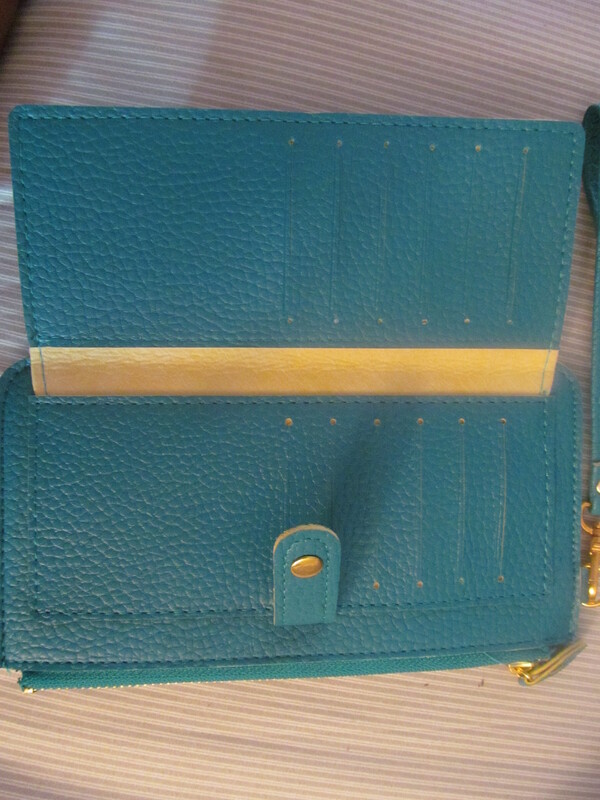 The wallet I’m featuring today is a turquoise wristlet wallet I foung on ebay. 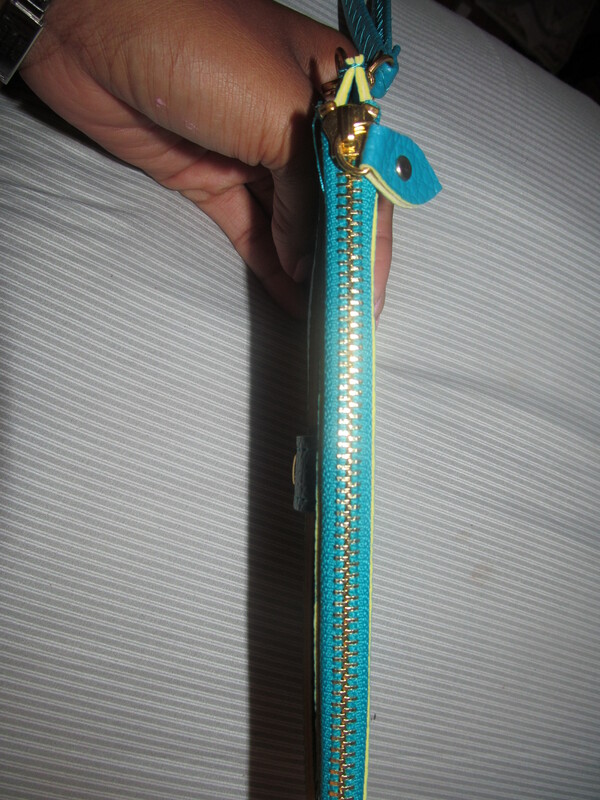 I loved the compact nature of it [even tho it could hold a lipgloss or two], as well as how many card slots it had. 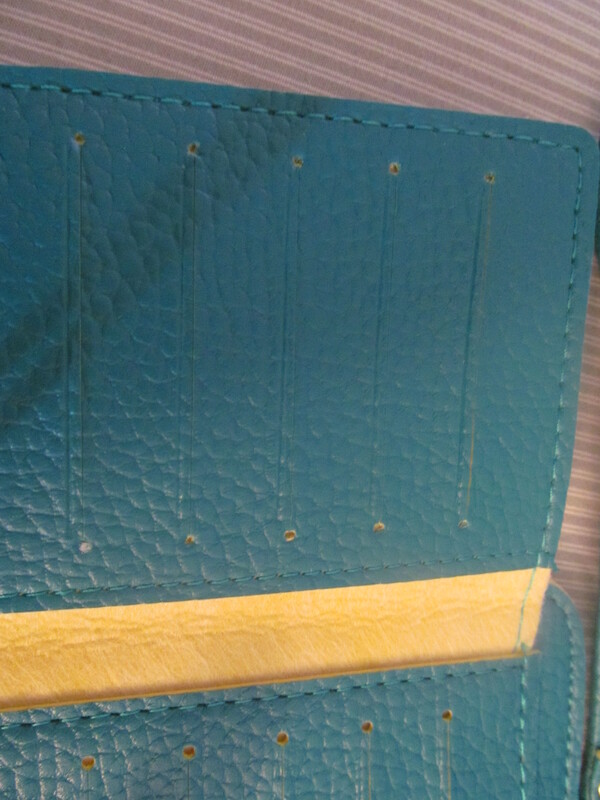 You know, when I was growing up in Jamaica, and used to take some summer vacations up here, I used to look at the wallets in the stores and say “Why in the world would one wallet need so many card slots for?! How many cards could one person possibly need?!”. Little did I know until I moved here that apparently there is a card for almost everything under the sun: debit cards, credit cards, reward cards, gift cards. you name it, there’s a card for it. 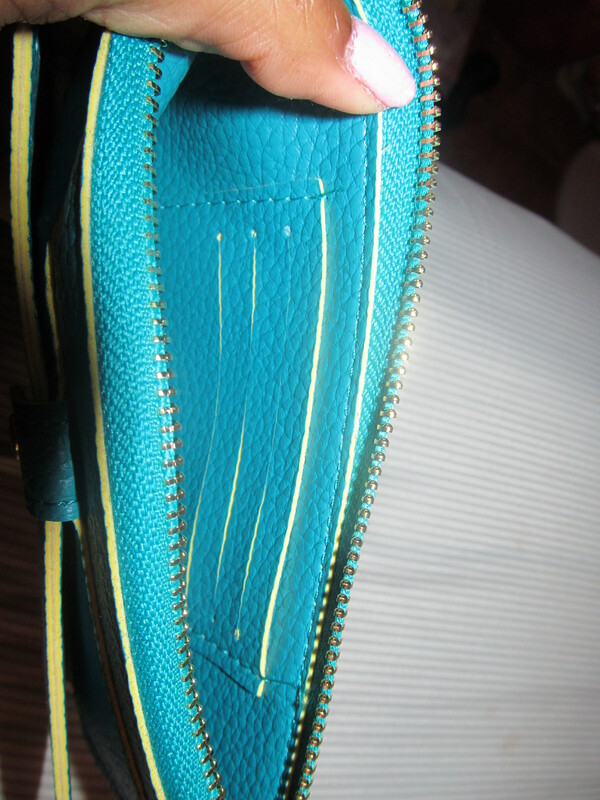 Because of this, a wallet that can hold many of them in a very efficient manner is extremely helpful. 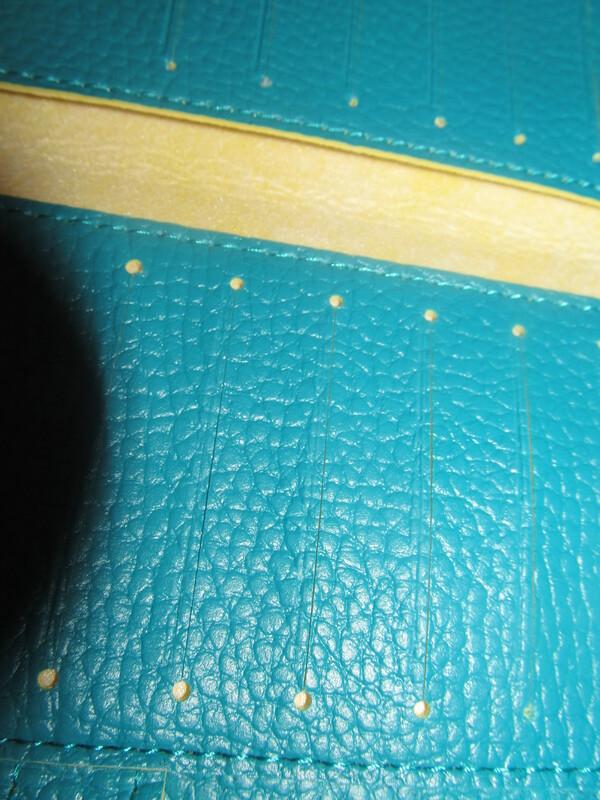 As I mentioned before this wallet is a beautiful turquoise shade, with a bright yellow contrast piping [can you say spring?!]. 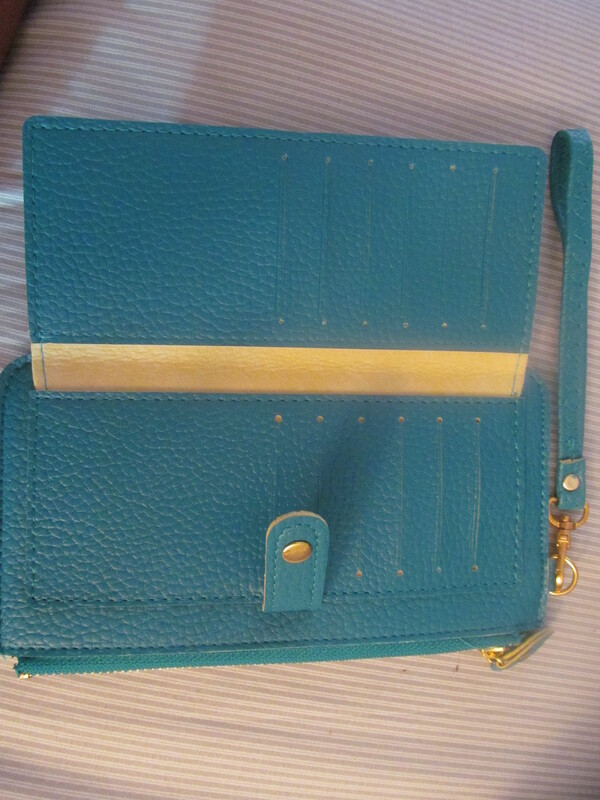 It has a fold out ‘wallet’ section with a snap closure, as well as a zippered section at the top of the bag. 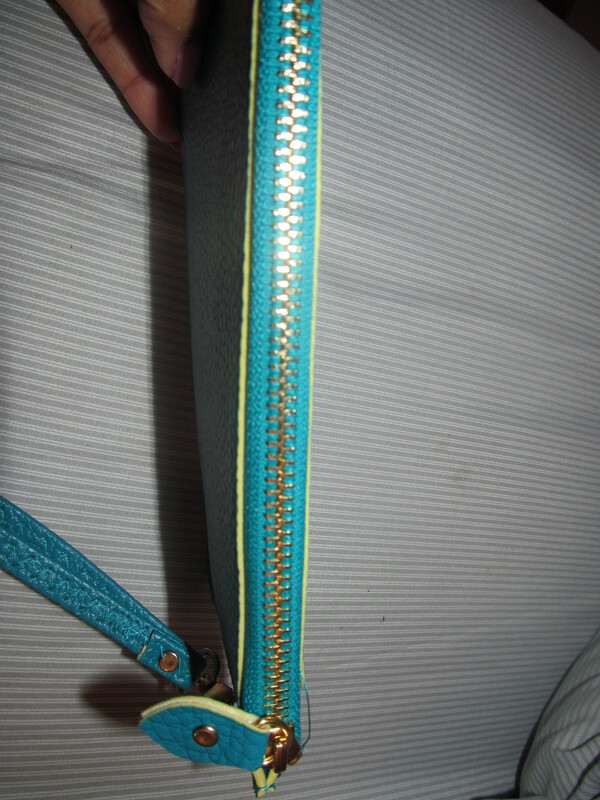 There are many card slots in both the snap and zipper sections, but the snap section also has a pocket for paper money, and the zippered section, as I mentioned before, can hold a few small items. 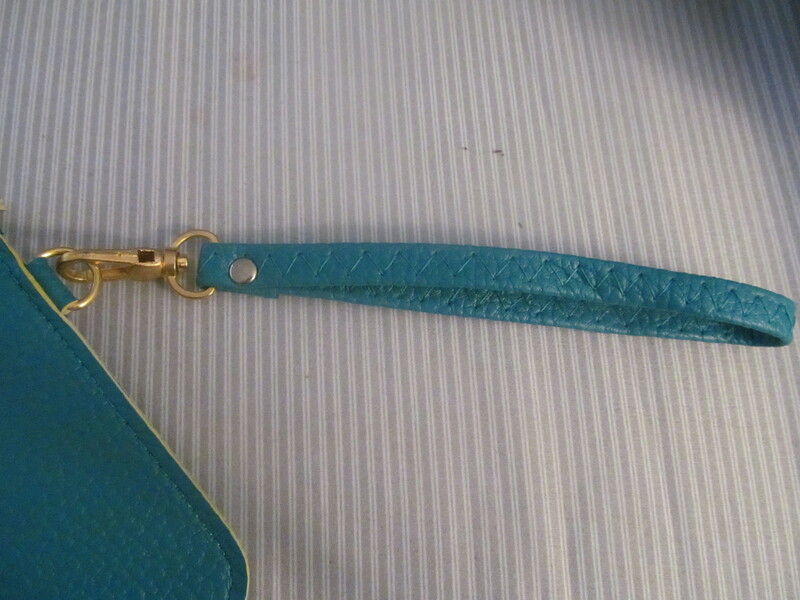 The wrist strap that also comes with the wallet for easy carrying, is detachable in the case that you want to use it mainly as a wallet and not so much a wristlet. I don’t remember the exact price again but I’m pretty sure it was around $5- $6 with free shipping. 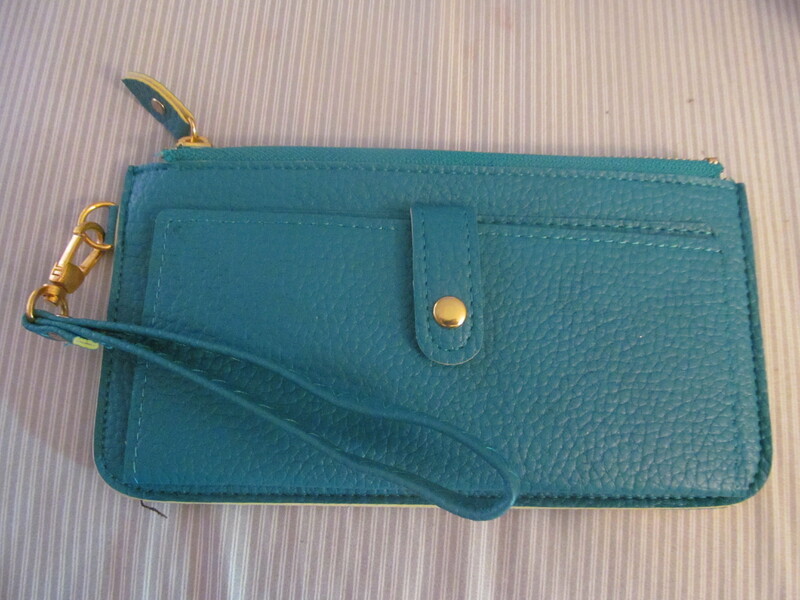 I absolutely loveeeeeeeeeeeeee this bag. Yea its awesome! Your new favorite color!! I not a quitter madame..so no I will not give up on this nickname….and yes we do need to work on getting me this wristlet..even if that means yours might one day grow legs and walk into my hands….I’m just saying..you never know..crazy things happen every day..